The Opal multi-criteria, multi-sensor, photo, thermal detector uses thermal assistance to the core photoelectric smoke detector to give enhanced false alarm immunity and faster response to a wide range of incipient fires. The plug-in unit combines two separate sensing elements that are managed by embedded software to act as a single unit. The Opal NFX-SMT2 conforms to EN54-7, a 58°C fixed temperature and rate of rise thermal assistance conforming to EN54-5. The thermal detection function combines thermistor technology with a software corrected linear temperature response. 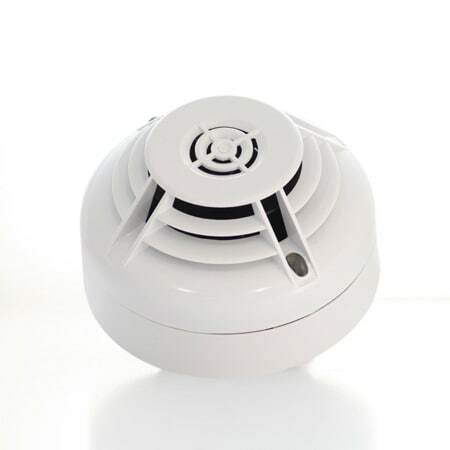 In areas where the normal daytime activities may potentially create unwanted alarms, the detector can be programmed to operate in a "heat only" mode, automatically reverting to full photo-thermal operation during unoccupied periods.